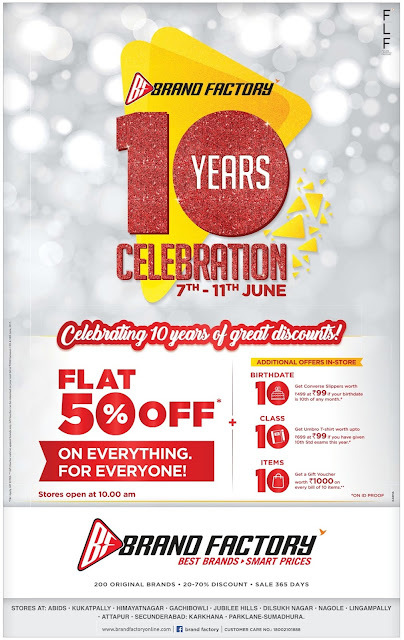 Brand Factory 10 years celebrations 7th June to 11th June. Celebrating 10 years of great discounts. Flat 50% off on every thing for every one.